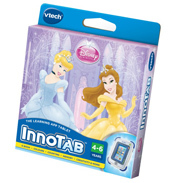 The Vtech Innotab is a revolutionary touch screen tablet for children, which combines the fun and adventures of their favourite TV characters with an exciting educational environment. 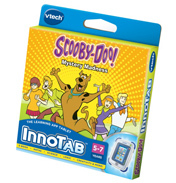 The Innotab takes special software cartridges, which are sold separately. 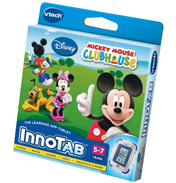 Each one contains games and activities featuring characters from films and programmes such as Dora the Explorer, Toy Story 3, Cars 2 and many more! 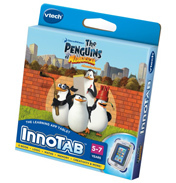 These games help teach a variety of areas such as reading, letters, numbers, foreign language and much more! 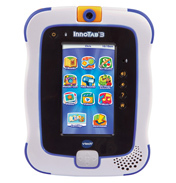 This innovative learning device provides two ways of play, you can either use the easy to use 5” touch screen, or the g-sensor which enable you to play by simply tilting the pad, like a steering wheel! Top games include Toy Story 3, where you have to help Woody, Buzz and the rest of the gang escape Sunnyside Daycare. 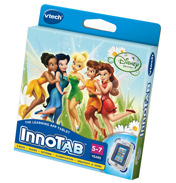 Or maybe girls would prefer joining Belle and Cinderella as they dance at the ball in the Disney Princess game. With so many possibilities and games available your child will have so much fun, and you are comfortable knowing that they are being taught key skills, which will give them a head start at school. You must have Adobe Flash Player installed to view this video.